This is a very unique inspirational carved wooden cross. It is stained black and has a metal hanger on the back. It measures 7 inches high and 5 inches wide. 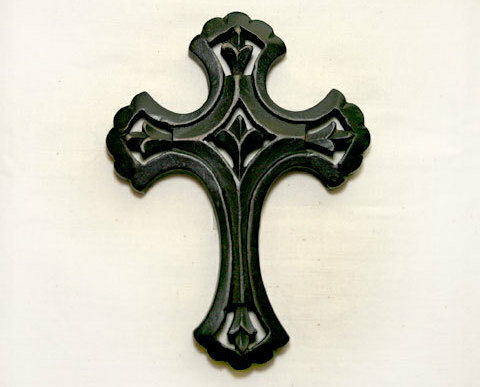 It would make a wonderful accent piece for your cross collection or a great gift for a friend.